Dirty Dancing: Blast from the 80s! 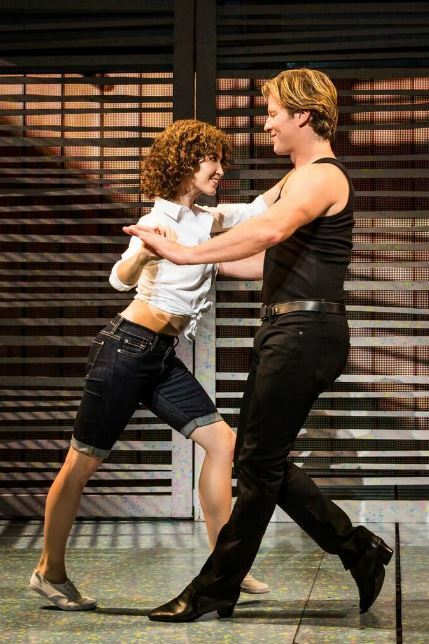 Dirty Dancing the Musical is a fresh blast from the 80's with phenomenal dancing and the great songs we love! Bronwyn Reed and Christopher Tierney. Photo by Matthew Murphy. There is no denying the power of nostalgia when you hear the words Dirty Dancing and think fondly back on the late Patrick Swayze's electric charisma and great dancing moves. For those who are looking for a fun night out reliving the good moments from the movie, including an incident with watermelons, and/or being entertained by some extraordinary dancers you will surely be amused and delighted by this touring production. 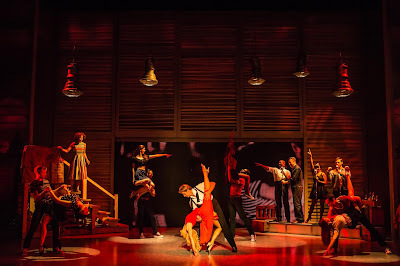 The show is 90% dance as befitting the title and the entire cast is exceptional! In particular, last night's understudy, Kellie Drobnick, who holds a BFA from The Julliard School, was the standout with her legs for miles and breathtaking grace as Penny, Johnny's dance partner who provides not only the best dance moves of the night but also the show's subplot with her unexpected pregnancy. 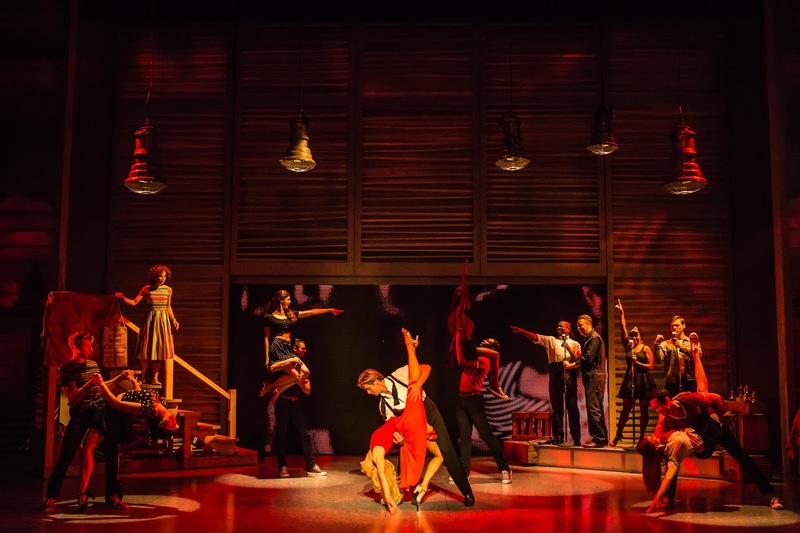 For those looking for a traditional musical, you will possibly be disappointed as this is more like a dance concert with a forgettable plot thrown in for good measure and a good percentage of the music are pre-recorded hits from the 1960s. And unfortunately a few moments when the writers and director wanted to possibly add more drama only seemed to drag. There is thankfully a live onstage orchestra that doubles as the Kellerman's Resort band, under the direction of Alan J. Plado and a couple dancers doubled as singers (Jordan Edwin André and Chante Carmel) and did an exemplary job with the beloved numbers including "(I've Had) The Time of My Life". But based on the audience last night at the Thousand Oaks opening, everyone nearly who was in attendance had grown up listening to and watching the cult classic movie with non-stop applause during the final number, great cheers during Johnny's iconic line, and a standing ovation for everyone from dancing ensemble to the leads. And for that crowd the show will not fail to please. And for the rest of the audience who came hoping for good dancing they surely left just as giddy and in awe of the talented dancers, especially Kellie Drobnick and lead Christopher Tierney. 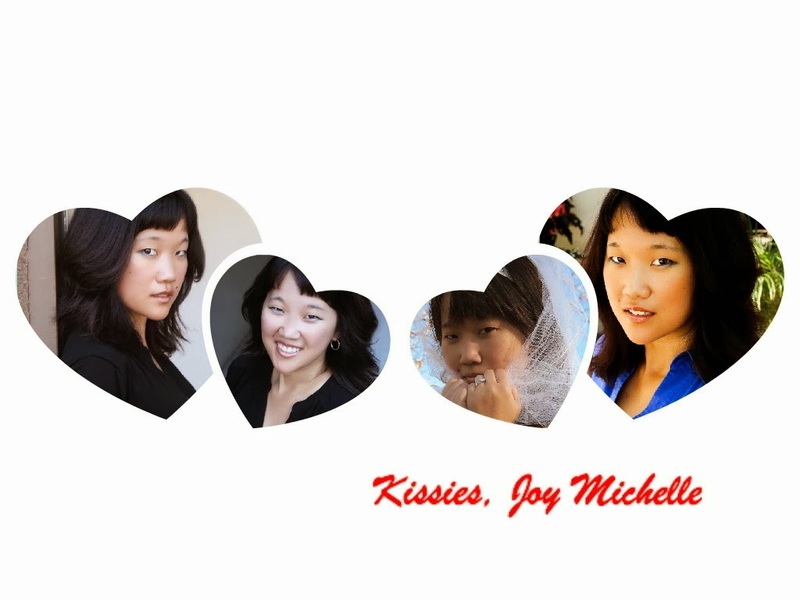 As for the leads... Bronwyn Reed was 100% adorable as Baby and it was a joy to watch Baby's progression throughout the show and her romance with Christopher Tierney's Johnny. Tierney not only had a well chiseled chest [Just saying -- hard for anyone not to notice.] and great dance moves but it helped that he has a similar sounding voice to the late Patrick Swayze. It's those little details, right? As mentioned above, Kellie was the show's true showstopper standing in as Penny Johnson. Rounding out the cast: Alan Scharf as Mr. Schumacher got one of the loudest applause leading up to the finale, Alyssa Brizzi was a perfect combination of ditzy and lovable with a hilarious rendition of the Hula, Jon Powell as Dr. Jake Houseman lacked the late Jerry Orbach's charisma but made the most of his material and interactions with the other leads, Hannah Jane McMurray (as Marjorie Houseman) avoided being overshadowed and her scenes with Baby and Dr. Houseman respectively packed a punch. Tickets are available for the remainder of the Thousand Oaks run (through 5 February) and around the country until at least 25 June! Enjoy and, to be cliche, have "The Time of Your Life". PS - The show is recommended for ages 13+ due to adult situations, sexual content, suggestive dance moves. For those of you who have not seen the movie, a back street abortion plays a large part in a subplot (nothing is shown).